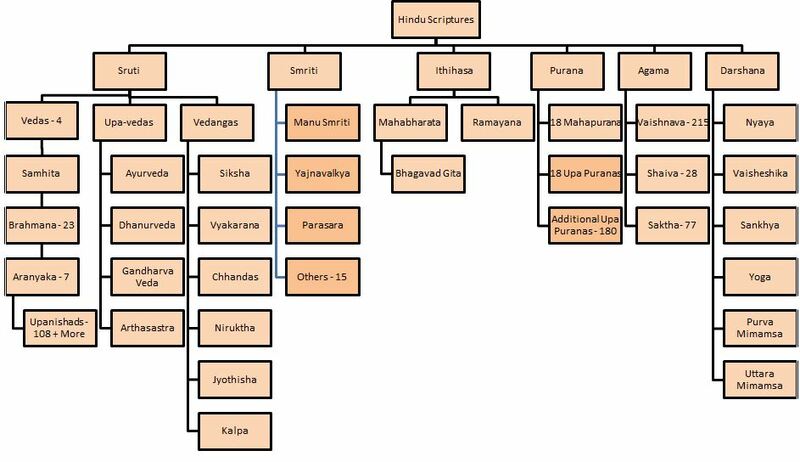 To get a better understanding of the Hindu scriptures, I have organized them in a chart form. Your comments and suggestions are most welcome. 1. He is the best of kings who has wisdom, who is possessed of liberality, who is ready to take advantage of the slackness of foes, who has agreeable features, who is prompt in action, who has his anger under control, who is not vindictive, who is high-minded, who is not hot tempered by disposition, who is not given to boasting, and who vigorously completes all works commenced by him. Good managers are essential to any successful organization. Good managers attract exceptional staff; they make the organization a preferred employer; they help to increase market share; add to profits and surpluses, and reduce costs. Their staff are engaged, committed and ‘go the extra mile’. What are the attributes of a good manager? Trustworthy -Trust is the basis of all relationships. People want a leader they can trust to keep their word, to back them up in times of crisis and take the lead under good or bad circumstances. Decisive – There are no certainties in life but a good leader must have the foresight and wisdom to make educated and informed decisions. A good manager is good at managing people, they considerate, thoughtful, caring, decisive, kind, mature, modest and coach their staff and counsel those who need it. 2. If the king happens to be always forgiving, the lowest of persons prevails over him, even as the driver who sits on the head of the elephant he guides. The king, therefore, should not always be mild. Nor should he always be fierce. He should be like the vernal Sun, neither cold nor so hot as to produce perspiration. A manager must be tolerant with people and processes and must listen and check before making judgments and acting. However extreme tolerance and forgiving could be seen as a weakness that could result in employees disrespecting the manager and thereby lowering the performance of the organization. 3. If the king becomes mild and mingles too freely with his subjects they begin to disregard him. They forget their own position and most truly transcend that of the master. Ordered to do a thing, they hesitate, and divulge the master’s secrets. They ask for things that should not be asked for, and take the food that is intended for the master. They even seek to predominate over the king, and accepting bribes and practicing deceit, obstruct the business of the state. They become so shameless as to indulge in belching and the like, and expectorate in the very presence of their master, and they do not fear to even speak of him with levity before others. There is a saying in the scriptures “A Brahmin should be respected for his “Kshama” (patience), a Kshatriya for his power, a Vaisya for his wealth and a Shudra for his age”. A Manager is essentially a combination of Kshatriya and Vaisya and should have the power and money to be respected by others in the organization. And power must be exercised when required while ensuring that excess use of power could also lead to exodus of good staff from the team. Not exercising the power when required is worse than over exercising. 4. The selection of honest men (for the discharge of administrative functions), heroism, skill, and cleverness (in the transaction of business), truth, seeking the good of the people, producing discord and disunion among the enemy by fair or unfair means, never abandoning the honest, granting employment and protection to persons of respectable birth, companionship with persons of intelligence, always gratifying the soldiery, supervision over the subjects, steadiness in the transaction of business, filling the treasury, absence of blind confidence on the guards of the city, producing disloyalty among the citizens of a hostile town, carefully looking after the friends and allies living in the midst of the enemy’s country, strictly watching the servants and officers of the state, personal observation of the city, readiness for action, never disregarding an enemy, and casting off those that are wicked. The king, even if possessed of strength, should not disregard a foe, however weak. Attract and retain the best talent in the team. A Manager is as good as his team. Key members of the team must be action oriented, with excellent business acumen and other skills necessary for them to excel in their respective functions. Keen understanding about the market and competitors strategy is essential to drive your company’s strategic plans and ensure success. Industrial espionage is rampant these days and therefore always keep an eye on your employees while creating discord and disillusionment in the competitors camp. Duties and Responsibilities of a King and how it compares that with a modern day Senior Manager (reference from Mahabharata – advices from Bhisma to Yudhishthira). In the “Mahabharata” Santiparva, Bhishma Pitamaha gave advice to the newly crowned King Yudhishthira about the responsibilities of a good king. Given below are some of the extracts of that talk and how it is relevant even today and can be applied in Managers day to day affairs. 1. The happiness of their subjects, observance of truth, and sincerity of behavior are the eternal duty of kings. If the king becomes possessed of prowess, truthful in speech, and forgiving in temper, he would never fall away from prosperity. With soul cleansed of vices, the king should be able to govern his anger, and all his conclusions should be conformable to the scriptures. He should also always pursue morality and profit and pleasure and salvation (judiciously). Manager – Employees are the most important resources for any organization. Motivated, committed, loyal and hardworking employees keep the organization always successful and ahead of competitors. It is indeed the Managers responsibility to take good care of the employees and keep them motivated by leading from front. 2. Readiness for exertion in kings is the root of kingly duties. The hero of exertion is superior to the heroes of speech. The heroes of speech gratify and worship the heroes of exertion. The king that is destitute of exertion, even if possessed of intelligence, is always overcome by foes like a snake that is bereft of poison. That king is not worth of praise who, is destitute of exertion. Manager – Action orientation is an essential trait of any Manager. Those who are members of the NATO club (No Action Talk Only) never achieve anything irrespective of their qualification and experience. 3. It is the eternal duty of kings to prevent a confusion of duties in respect of the different orders. The king should not repose confidence (on others than his own servants), nor should he repose full confidence (on even his servants). These six persons should be avoided like a leaky boat on the sea, viz., a preceptor that does not speak, a priest that has not studied the scriptures, a king that does not grant protection, a wife that utters what is disagreeable, a cow-herd that likes to rove within the village, and a barber that is desirous of going to the woods. Manager – It is essential that a Manager appoints the right person for the job and ensure they are performing their assigned duties and responsibilities to its fullest potential. He must identify those who are non-performers or whaling away their time in their desks and eliminate them without delay to ensure that motivation levels of those who are high performers are not affected. 4. The king should administer justice like Yama and amass wealth like Kubera. He should firmly follow the behavior of the righteous and, therefore, observe that behavior carefully. If the king is not wrathful, if he is not addicted to evil practices and not severe in his punishments, if he succeeds in keeping his passions under control, he then becomes an object of confidence unto all like the Himalaya mountains (unto all creatures). Manager – Nepotism and favoritism must be avoided at all costs in an organization by the Manager. Such behavior only creates divide and increased politicking that severely impacts performance. Performance review must be conducted professionally and rewards, awards and compensation decided purely on merits and achievements. Anger is the biggest enemy and therefore a Manager must remain cool and composed displaying highest levels of maturity and compassion. 5. The king desirous of obtaining prosperity should always bind to his service men that are brave, devoted, incapable of being deceived by foes, well-born, healthy, well-behaved, and connected with families that are well-behaved, respectable, never inclined to insult others, conversant with all the sciences, possessing a knowledge of the world and its affairs, unmindful of the future state of existence, always observant of their duties, honest, and steadfast like mountains. That king, however, who is of righteous behavior and who is ever engaged in attracting the hearts of his people, never sinks when attacked by foes. Manager – The greatest potentials for the growth of any company are generated by a commitment to high corporate values. Values raise the quality of corporate energies and elevate work to a higher level. Whatever be your job, when you add values to it, you will see Prosperity in abundance. Honesty, integrity, truthfulness, fairness, and justice are higher values. Punctuality, politeness, pleasantness, proper record keeping, orderliness, soft speech, cleanliness, accuracy, precision, workmanship, and thoroughness are physical values. Irrespective of your job, position and place, add values to your work. Go on adding them in quantity and quality. You will reach the heaven of Prosperity. Unlike other major religions in the world, the Hindu’s have many texts that guide and help them to understand life and how to live. Unfortunately majority of the Hindu’s are not aware of the rich storehouse of knowledge that they possess and search in internet and library’s for wisdom and guidance. Here is a short description. The Sruti and the Smriti are the two authoritative sources of Hinduism. Sruti literally means what is heard, and Smriti means what is remembered. Sruti is revelation and Smriti is tradition. The Srutis are called the Vedas. The Vedas are the eternal truths revealed by God to the great Rishis of India and the foundation of the Hindu religion. The word Veda means knowledge. When it is applied to scripture, it signifies a book of knowledge. The Vedas are the foundational scriptures of the Hindus and the storehouse of Indian wisdom. The Vedas are the oldest books in the library of man and are the ultimate source to which all religious knowledge can be traced. Any other Hindu scripture must agree with the Vedas in order to be considered an authority. The great compiler of the Veda and Puranas was Vyasa Krishna Dwaipayana who is understood have lived during the period of Sri Krishna around 3000 years ago. The chanting itself has the power to provide material benefit and spiritual apotheosis. Great emphasis, therefore, was laid on correct pronunciation and on memorization. The texts that are used for aiding the memorization and recitation of the Vedas with utmost fidelity, are called ‘Lakshana Granthas’. These texts include Padapathas, Ghanapathas, Kramapatha and other Vikrtis or modifications of the root text, phonetic treatises like Sikshas and Pratisakhyas and so on. The Veda is divided into four great books: The Rig-Veda, The Yajur-Veda, The Sama-Veda, The Atharva-Veda. Each Veda consists of four parts: The Mantra-Samhitas or hymns, The Brahmanas or explanations of Mantras or rituals, The Aranyakas (philosophical interpretations of the rituals), The Upanishads (The essence or the knowledge portion of the Vedas). The Mantra-Samhitas are hymns in praise of the Vedic God for attaining material prosperity here and happiness hereafter. The Brahmana portions guide people to perform sacrificial rites. They are prose explanations of the method of using the Mantras in the Yajna or the sacrifice. The Aranyakas give philosophical interpretations of the Rituals. The Upanishads contain the essence or the knowledge portion of the Vedas. They speak of the identity of the individual soul and the Supreme Soul. The subject matter of the whole Veda is divided into Karma-Kanda, Upasana-Kanda and Jnana-Kanda. The basic teachings of the Upanishads are summed up in six great sayings (Mahavakyas). These are: “I am Brahman” (Aham Brahmasmi). This states the identity of the inmost consciousness of the individual with that of the supreme Divine. “The Self is Brahman” (Ayam Atma Brahma). This also states the identity of the soul with the Absolute but in a more objective and less direct manner. “That thou art” (Tat tvam asi). Whatever we see or think about we are that. “Intelligence is Brahman” (Prajnanam Brahma). Our discernment of truth is the truth itself. “The Universe is Brahman” (Sarvam Khalvidam Brahma). The entire universe is the Divine, which includes our self. “He am I” (So’ham). This shows the identity of the self with the Divine Lord inherent within the natural movement of our breath. There are four Upa-Vedas or subsidiary Vedas: The Ayurveda (science of life and health), The Dhanurveda (science of war), The Gandharva Veda (science of music), The Arthasastra (science of politics and Economics). There are six Vedangas to the Vedas: Siksha, Vyakarana, Chhandas, Nirukta, Jyotisha and Kalpas. Siksha deals with pronunciation and accent. Vyakarana is Sanskrit Grammar. Without knowledge of Vyakarana, you cannot understand the Vedas. Chhandas is metre dealing with prosody. (the use of pitch, loudness, tempo in phonetics and rhythm in speech to convey information about the structure and meaning of an utterance). Nirukta is philosophy or etymology. Jyotisha is astronomy and astrology. It deals with the movements of the heavenly bodies, planets, etc., and their influence on human affairs. Kalpa is the method or ritual. Next in importance to the Sruti are the Smritis or secondary scriptures. The Smriti scriptures are of human origin and were written to explain the Sruti writings and make them understandable and meaningful to the general population. The Smritis have laid down definite rules and laws to guide the individuals and communities in their daily conduct and to regulate their manners and customs. The Smritis have given detailed instructions, according to the conditions of the time, to all classes of men regarding their duties in life. The Smritis are based on the teachings of the Vedas. There are eighteen main Smritis or Dharma Sastras. The most important are those of Manu, Yajnavalkya and Parasara. The other fifteen are those of Vishnu, Daksha, Samvarta, Vyasa, Harita, Satatapa, Vasishtha, Yama, Apastamba, Gautama, Devala, Sankha-Likhita, Usana, Atri and Saunaka. Manu is the greatest law-giver of the race. The Itihasas (history) – There are four books under this heading: The Valmiki-Ramayana, The Yogavasishtha, The Mahabharata and The Harivamsa. These embody all that is in the Vedas, but only in a simpler manner. These works explain the great universal truths in the form of historical narratives, stories and dialogues. The common man cannot comprehend the high abstract philosophy of the Upanishads and the Brahma Sutras. Hence, the compassionate sages Valmiki and Vyasa wrote the Itihasas for the benefit of common people. These are very interesting volumes and are liked by all, from the inquisitive child to the intellectual scholar. The Bhagavad Gita, more commonly known as the Gita, is part of the Itihasa scripture Mahabharata. Puranas – The Puranas were written to popularise the religion of the Vedas. They contain the essence of the Vedas. The aim of the Puranas is to impress on the minds of the masses the teachings of the Vedas and to generate in them devotion to God, through concrete examples, myths, stories, legends, lives of saints, kings and great men, allegories and chronicles of great historical events. The sages made use of these things to illustrate the eternal principles of religion. The Puranas were meant, not for the scholars, but for the ordinary people who could not understand high philosophy and who could not study the Vedas. There are eighteen main Puranas and an equal number of subsidiary Puranas or Upa-Puranas. The Agamas – Another class of popular scriptures are the Agamas. The Agamas are theological treatises and practical manuals of divine worship. The Agamas include the Tantras, Mantras and Yantras. These are treatises explaining the external worship of God, in idols, temples etc. They also give elaborate details about entology and cosmology, liberation, devotion, meditation, philosophy of Mantras, mystic diagrams, charms and spells, temple-building, image-making, domestic observances, social rules, public festivals etc. Darsanas -These are the intellectual section of the Hindu writings. Darsanas are schools of philosophy based on the Vedas. The Agamas are theological. The Darsana literature is philosophical. The Darsanas are meant for the erudite scholars who are endowed with acute acumen, good understanding, power of reasoning and subtle intellect. The Itihasa, Puranas and Agamas are meant for the masses. There are six Darsanas and the six schools of philosophy are the six instruments of true teaching or the six demonstrations of Truth. Each school has developed, systematized and correlated the various parts of the Veda in its own way. The Shat-Sastras are: The Nyaya founded by Gautama Rishi, The Vaiseshika by Kanada Rishi, The Sankhya by Kapila Muni, The Yoga by Patanjali Maharshi, The Purva Mimamsa by Jaimini, The Uttara Mimamsa or Vedanta by Badarayana or Vyasa.